The second volume of ‘EuroREA’ again brings you a taste of the current happenings in experimental archaeology across Europe. We would like to underline with ‘EuroREA’ the repeatability of experiments, as repeatibility is one of the fundamental principles of archaeological experiment. The experiment need not only to be carried out but also to be published, as publication gives us the possibility of avoiding the mistakes of previous experiments in the future. ‘EuroREA’ not only allows for information exchange but also for the discussion of problems which experimenters face. 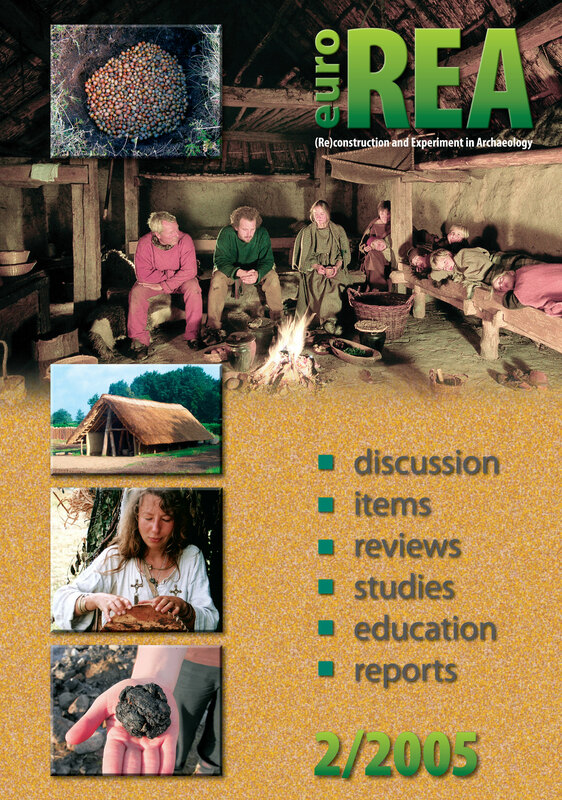 What is the position of experimental archaeology within archaeology? How to gain reliable information? What is the best way of communicating the information gained? Another problem area in the use of experiment is education. The advantage of publishing experiences learnt from demonstrations of experiments and archaeological presentations to the public is the possibility to compare their quality and also comparing the principles and work of open-air museums.